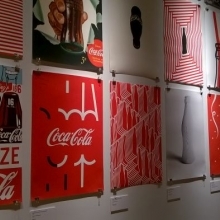 It’s sold in more than 200 countries around the globe and is the most recognizable brand anywhere. 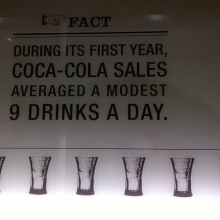 It’s the biggest-selling and most popular soft drink in history. 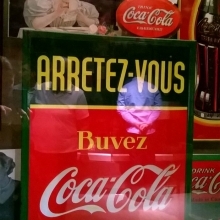 The unique hue of red and the Spencerian script of the logo along with the distinctive flavor make Coca-Cola an unforgettable beverage. 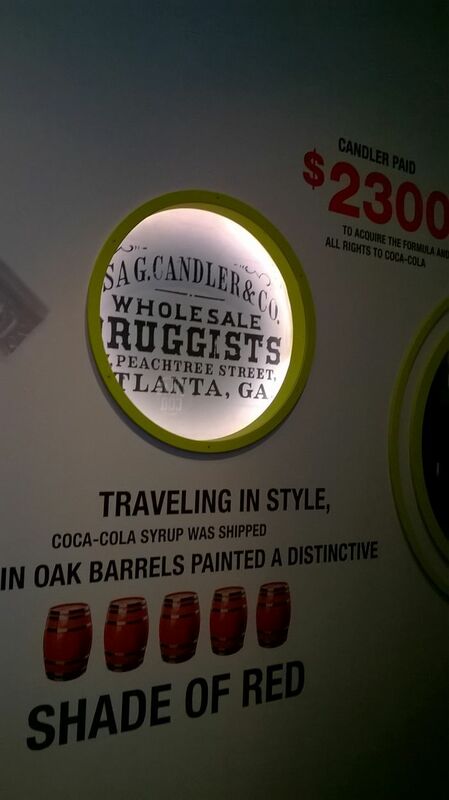 The World of Coca-Cola, in Atlanta, Georgia, United States is a place where you can experience Coca-Cola’s history and present. 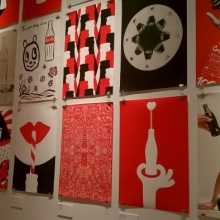 A multimedia experience, visitors from around the world can see a fully-functioning bottling line, more than a thousand artifacts, and taste more than 60 soft drink beverages from around the world among other interactive, audio and visual exhibits. 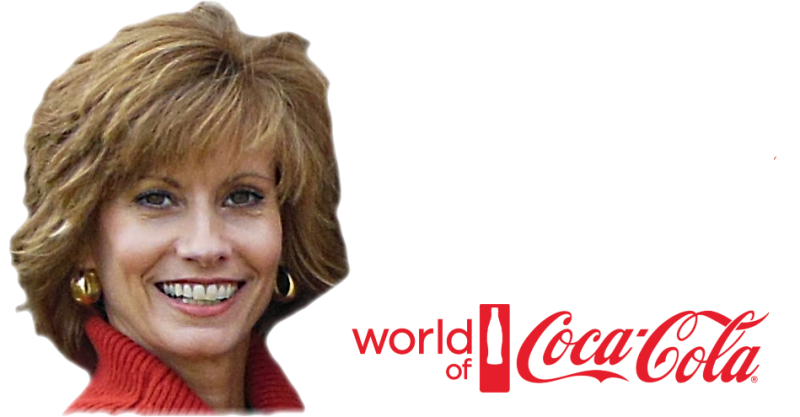 Jacquie Wansley is the Group Marketing Manager for the World of Coca-Cola and is a passionate and knowledgeable source on not only the World of Coca-Cola, but the brand as a whole. 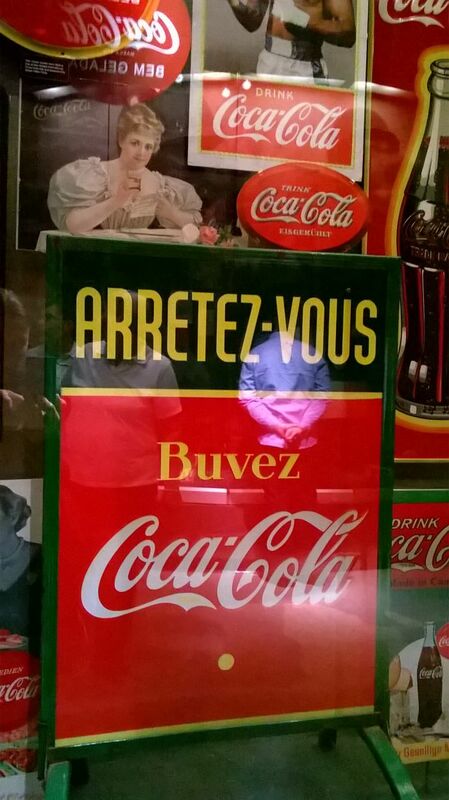 We met her at the World of Coca-Cola after looking, listening, interacting and tasting everything we could at the museum. 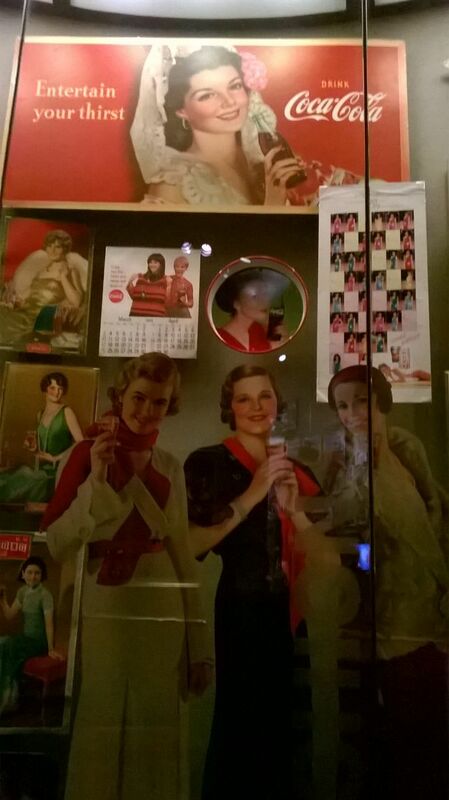 Here she is sharing her Coca-Cola story and her insight into the famous product. 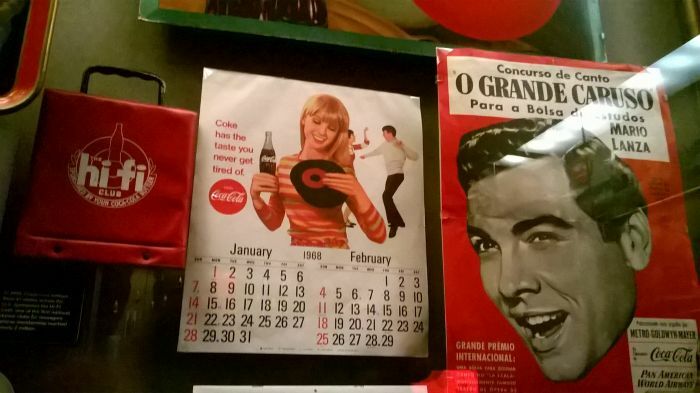 What is your earliest recollection of Coca-Cola? I grew up in Northeast Georgia and my grandparents lived just North of Atlanta, in a little town called Acworth, Georgia. They had a garden, and my mother and dad would send my brother and myself to stay with my grandmother for a week. We didn’t know it, but we were really just field hands, because we would help our grandparents bring in corn and green beans and tomatoes out of their garden. My mom would come in the second week and she and my grandma would freeze and can everything that we had helped gather. Then, my grandfather would reward us with a trip to a little country store that was just down the road from them and that had this big ice tub. 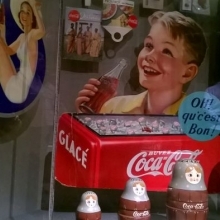 And they had Coca-Cola bottles in there. 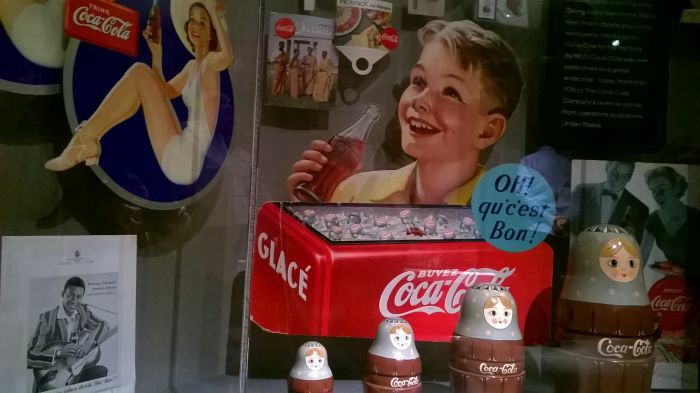 So my grandfather, after we had worked in the fields all week, he would let us reach out and grab a Coca-Cola. We had peanuts that we put into it – that’s a thing we do here in the South. We would put the salty peanuts into the Coca-Cola bottle and then turn it up and drink it and pop them off the very bottom of the bottle. It was a great reward after a week of hard work and it’s a great memory that I have of my granddaddy too. I think he would be amazed. He was an inventor and a pharmacist and I think we would really be impressed with the number of people around the world who actually now enjoy the product that he invented. It’s something that I’m constantly amazed by when I’m standing by a group of people and our ambassadors are asking where everyone is visiting from, and the number of countries never ceases to amaze me. 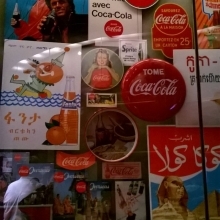 And across the United States, the variety of lengths of voyage that people have taken to come to Atlanta and to spend some time with us here at the World of Coca-Cola is one of the greatest tributes that I think Mr. Pemberton would be proud of. 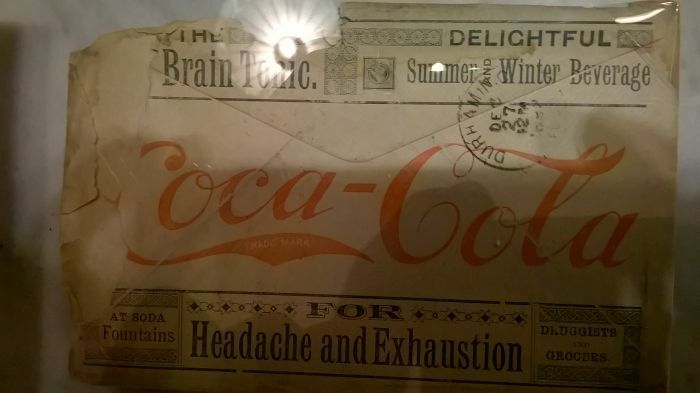 What do you think there is to learn and apply today from the very early marketing techniques that Asa Candler, the second owner of the Coca-Cola formula, used? 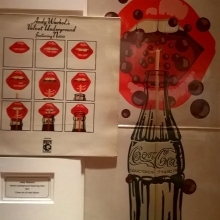 I think Mr. Candler knew not to change the Coca-Cola script that Mr. Pemberton and his book-keeper, Frank Robinson, designed. He knew not to change that, it was perfect in every way. 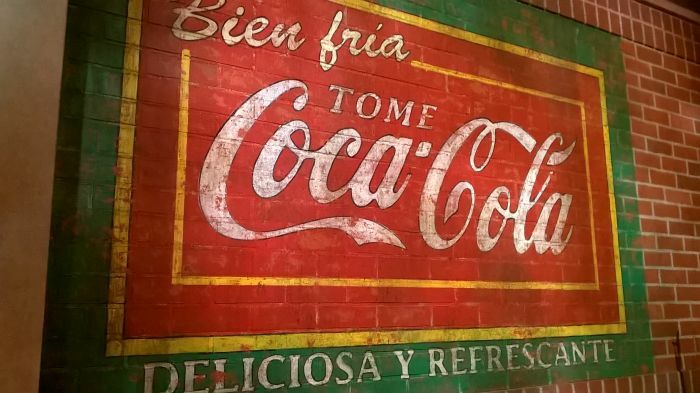 We have not changed the Coca-Cola script since it was actually originated in 1886. So there’s something to be said for that longevity and for that recognized trademark, even the color red. 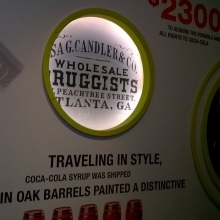 But I think that Mr. Candler was genius in the way that he used coupons to get people to try one of his products. If he offered it to you without cost for the first time, then you at least knew what it tastes like, so you would come back in and you would purchase your own and you would likely go tell someone else that you had tried it. 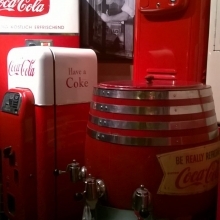 Then, even the placement of the soda fountain in the back of the pharmacy was sheer genius, because if he’d put it up in the front, people were going to come in, get their Coca-Cola, but not purchase anything else in the pharmacy. 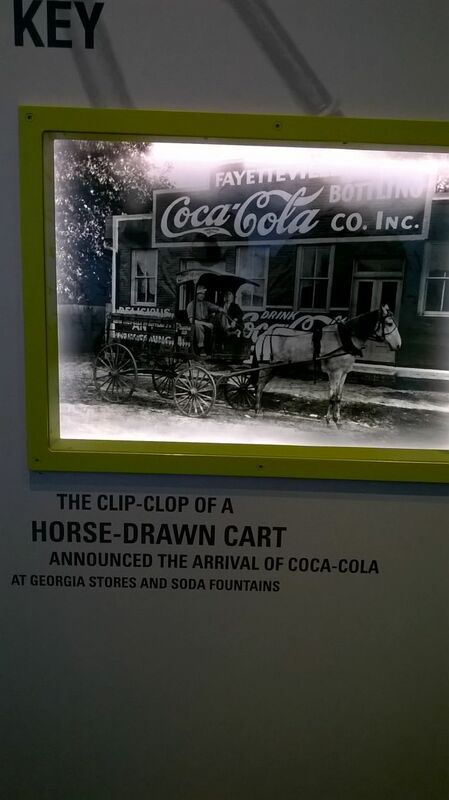 So by making people walk all the way through, it really would give them the opportunity to find lots of things they needed or wanted, before they even got back to the soda fountain to get that free Coca-Cola and they would have probably found a few things on their way out as well. 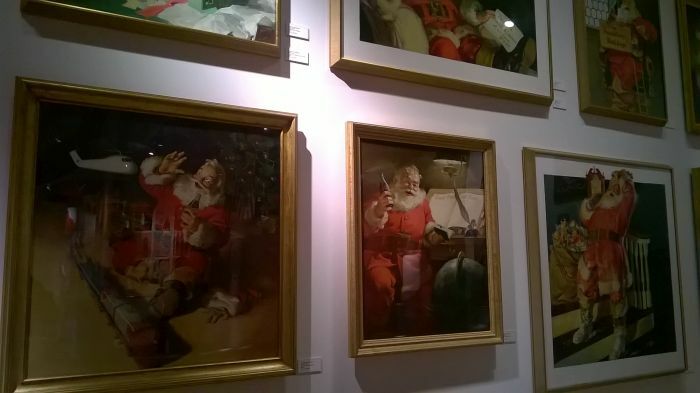 He was a smart businessman, a terrific guardian of the Coca-Cola brand and he really advanced the product exponentially for the time that he owned the company. Nowadays, what are the most challenging things you have to deal with regarding marketing strategies? I think it’s keeping a current message in all the mediums that have come about and the ways that people gather their information. 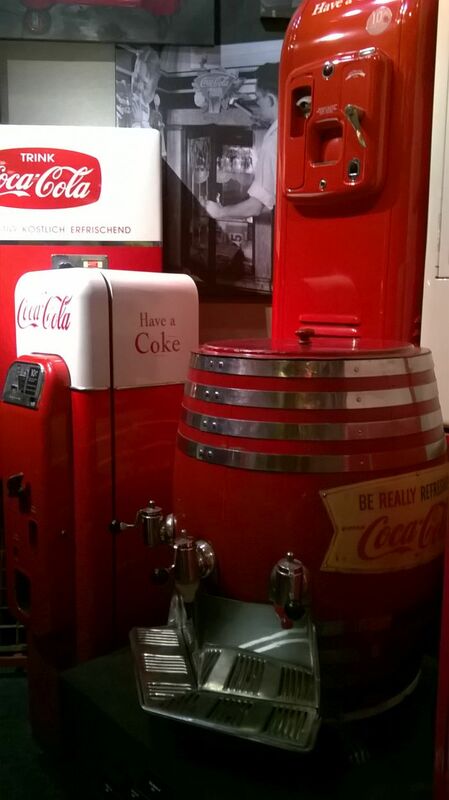 When the original World of Coca-Cola opened in 1990, the most fascinating good of technology that people had in their offices or homes was a fax machine. People now don’t even send a percentage of any document through fax. Everything is digital, everything is shared through social media. 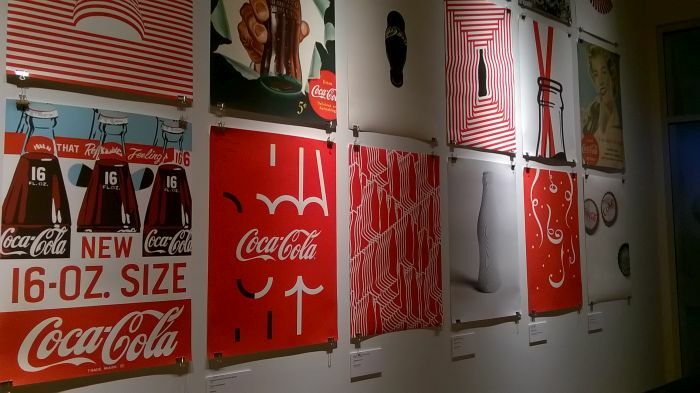 Keeping our brand, the World of Coca-Cola, as an attraction relevant and making sure that we have information at every touch point that people could possible want, whether it’s Instagram, Facebook, Twitter, our website – keeping all of those forms of communication up to date is something we’re very pleased to do, but it’s a challenge. 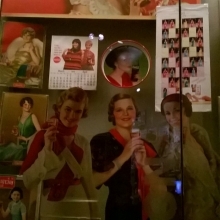 There are so many things to see here at the museum. For you, what is the most compelling thing? That is a great question! 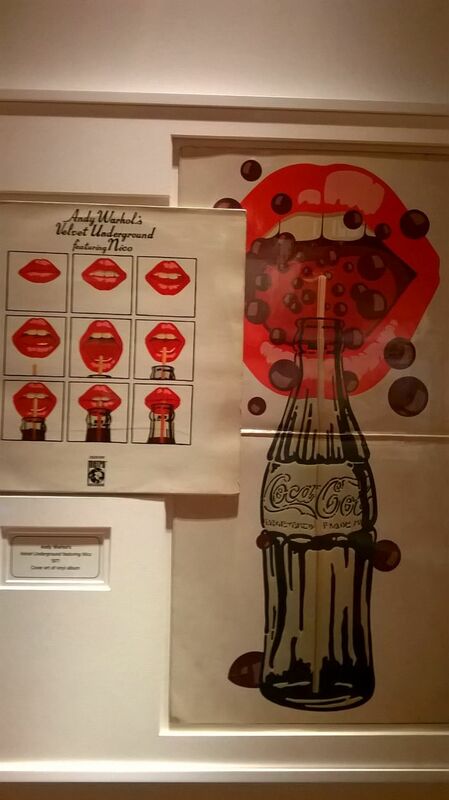 One of the things I really enjoy is something that the guests experience in early the loft, where you see the wide range of different items that had the Coca-Cola logo on them, whether they were the groovy beach pants from the 70s or the Coca-Cola Spencerian script that was on our company’s headquarters from 1919 to 1979, down to the tiniest things, like some of the festoons that they had in the windows of the pharmacies and markets in the early days of our company, that were so beautifully designed, that they would catch people’s eyes. The fact that those were preserved and now they are here for our guests from around the world to see is something that I think I take for granted sometimes, but it’s one of the really great things here in the museum. 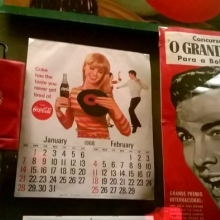 When did you start working for the World of Coca-Cola? 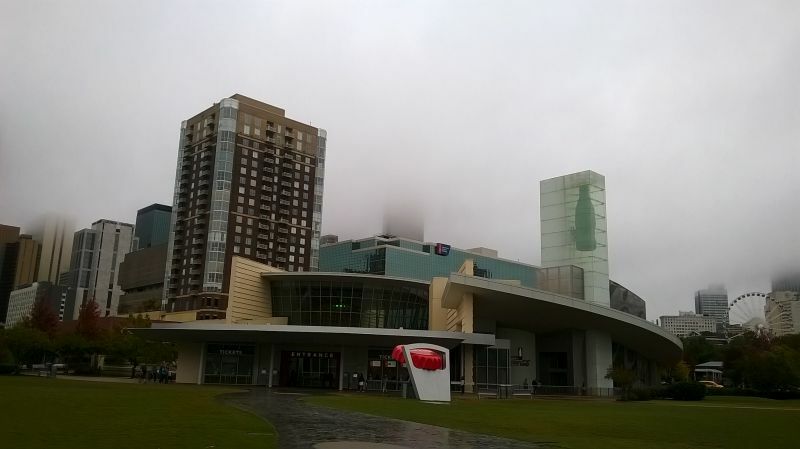 I started working for the Coca-Cola Company the Monday after the Olympics were here in Atlanta, in 1996. 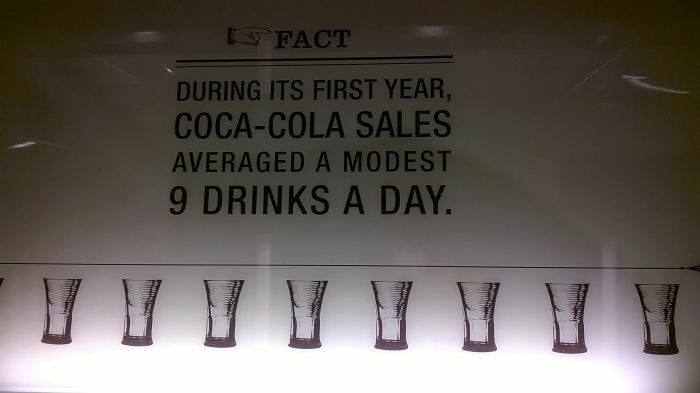 And I’ve been involved with the World of Coca-Cola in one way or another for the 19+ years that I’ve been at Coca-Cola. What is the greatest thing you’ve learned? That this brand does not belong to me, it does not belong to the company. 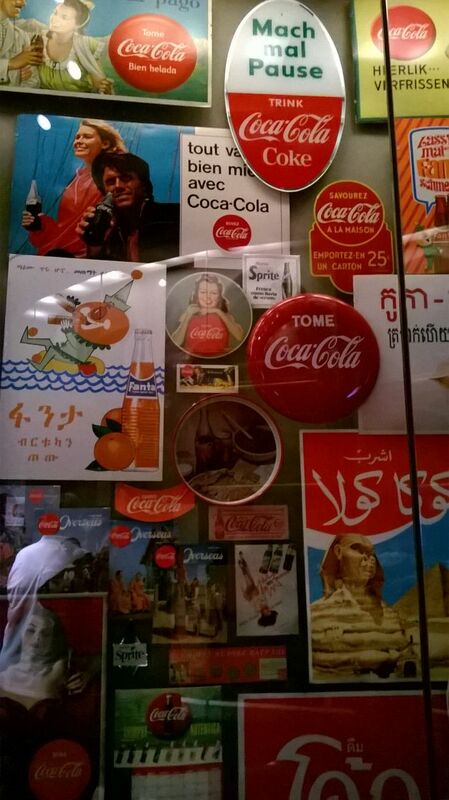 It is everyone who has ever tried a Coke, everyone who’s ever been somewhere that Coca-Cola was the sponsor of. It’s not something that we own. We are the guardians of what has made our brand so relevant and so prevalent around the world, but it does not belong to us. 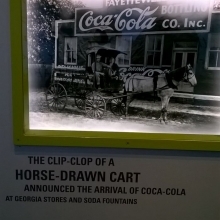 When did the World of Coca-Cola open? 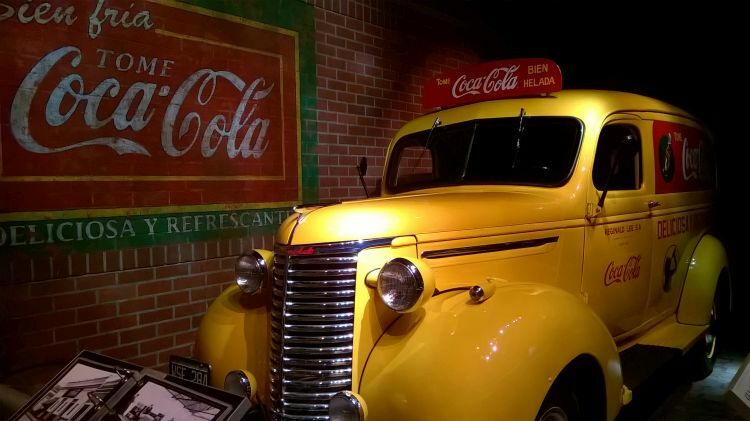 The World of Coca-Cola opened in our original location in 1990, about a half mile from our present location in Pemberton Place. 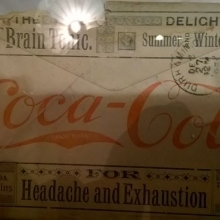 It opened as a result of the request that we had for people to come to our corporate headquarters and see the archives or have a Coca-Cola inscripted item verified. So we opened in 1990 and when we closed in 2007 to move to our present location, we had over 700,000 guests a year. In May of 2007 we opened here at Pemberton Place and we thought we would maybe have around 800,000 to a million guests a year. We had started at a million and this year we’ll have just shy of 1,200,000 guests visit us from around the world. In the attraction industry that’s fairly uncommon to have an attendance that continues to elevate, which we’re very humbled and pleased by. It’s even more gratifying to see that, since we opened in 1990 to present day, we had over 23 million guests. We sit in downtown Atlanta, just North of Centennial Olympic Park, as part of a 22 acres tract of land that the Coca-Cola Company owns. The Georgia Aquarium was built on this same piece of land, and a couple of years ago, we also gave two acres of land to the Center for Civil and Human Rights on which they opened. There are still about four to five acres of green space that is a great area for people to come and have picnics and relax. South of us, we have Centennial Olympic Park and at the South end of the park there is inside CNN Studio Tours, and just West of that location there is the College Football Hall of Fame. We have five terrific attractions, in easy walking distance, for people to visit when they come to downtown Atlanta. 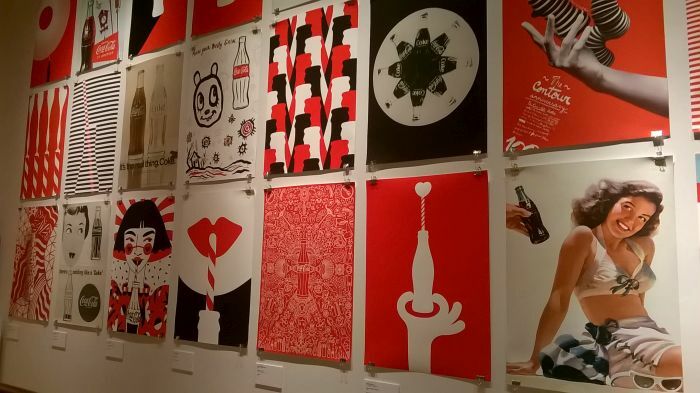 What do you think is unique about Coca-Cola? I think it’s something that’s accessible, in most economies in the world. It’s not expensive. And it’s a part of those times when you’re having fun with your friends and family, either around the holidays or during the summer at the beach, or at a baseball or soccer game. It’s generally a part of those times, so we get the benefit of being part of those good memories. 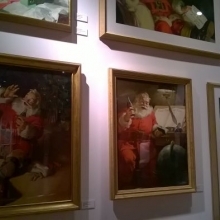 I think that sort of halo carries over to Coca-Cola that we’re all there together. People place a value on those memories and we have the benefit of being a part of those great times.